IPS offers contract shot peening and abrasive blasting services. We will meet your specifications using most types of media, including plastic blast media. 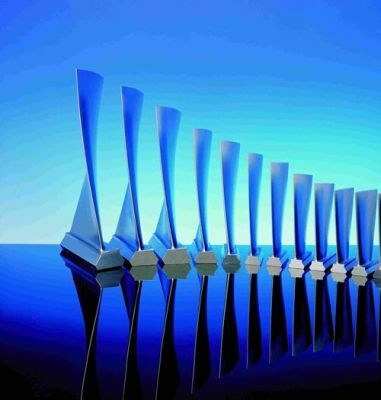 We can process a wide range of sizes of components and complex shapes. IPS offers total shot peening and blasting machine repair and modifications. We can install components that comply to current certifications. 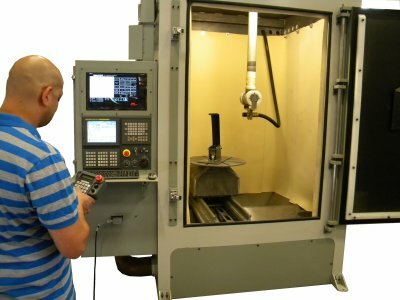 Our experienced team of machine builders provides both mechanical and electrical rebuilds, either in the field or, for larger projects, in our facility. IPS applies a coating specially formulated for protecting ferrous alloys from high-temperature heat oxidation. In addition, the coatings give sacrificial (cathodic) protection to the base metal. Because of its high temperature capabilities, our coating provides excellent protection when exposed to cyclic high-temperature and corrosive salt environments. The coating gives sacrificial properties at temperatures to 1150°F. We use a ceramic coating that combines thermal stability, excellent adhesion and hardness, along with good flexibility. As mentioned above, it offers salt corrosive protection to 1150°F. At about 1200°F, the aluminum oxidizes to a point where it no longer provides its excellent sacrificial properties, however, it will continue to offer excellent heat oxidation continuously to 1600°F. In some cases, depending on metal substrate, it has given heat oxidation protection to 2200°F. Tests have been conducted using low carbon steel alloys. There was no loss of weight after several weeks continuous exposure at 1000°F. After exposure to 5% salt spray for 1000 hours, there was no evidence of corrosion. Further, the coating-formed composition offers superb thermal shock resistance. 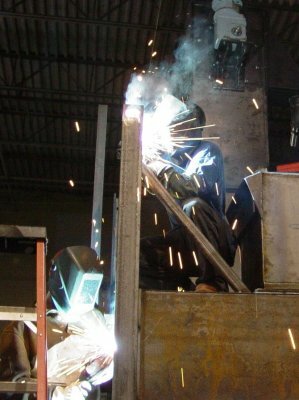 The coated metal will not crack, spall, or fail after shocking from 1100°F. to room temperature repeatedly.